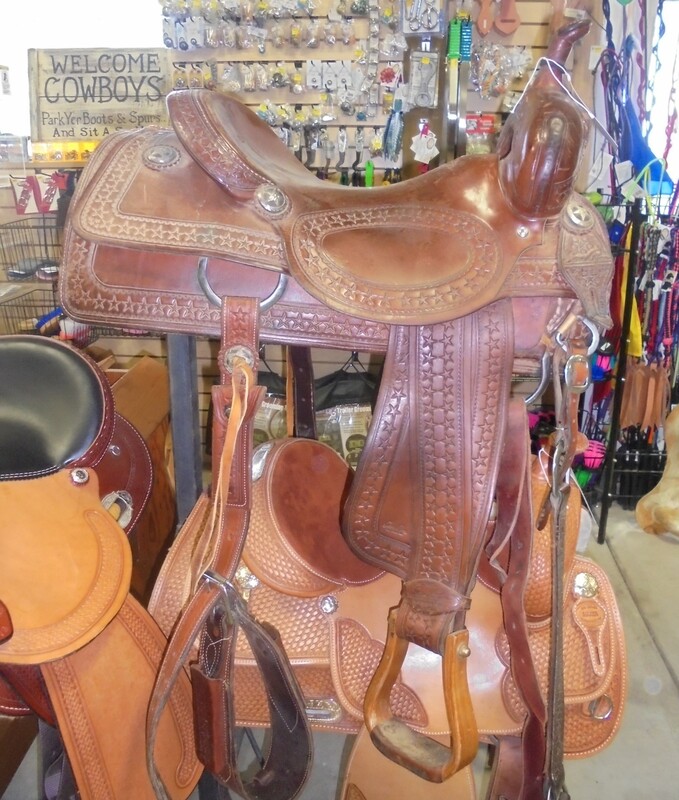 This Sean Ryon Saddle is ready for work. Very cool star patterned tooling along with some camoflauge. Dark oiled.